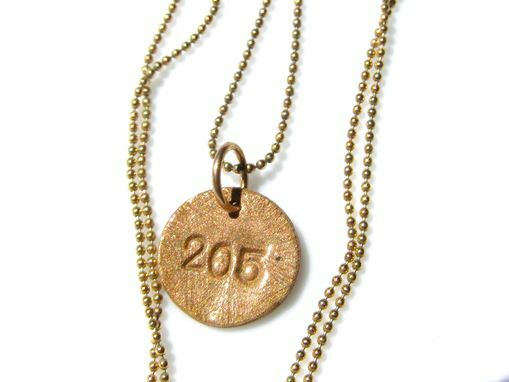 This is a personalized bronze charm necklace with the area code 205 stamped on it. 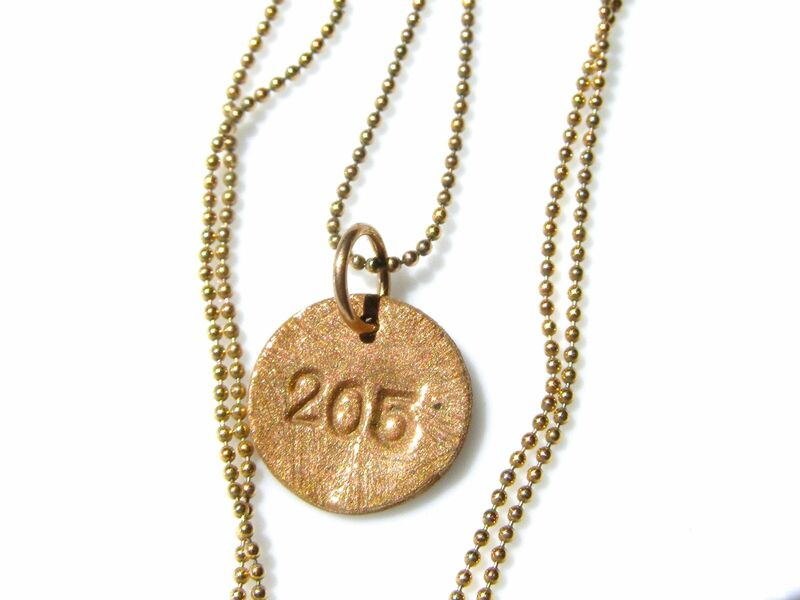 You can custom order whatever area code or numbers you like. 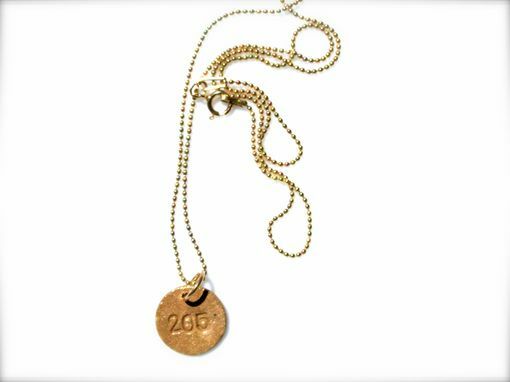 The charm hangs from an 18 inch gold-filled ball chain.